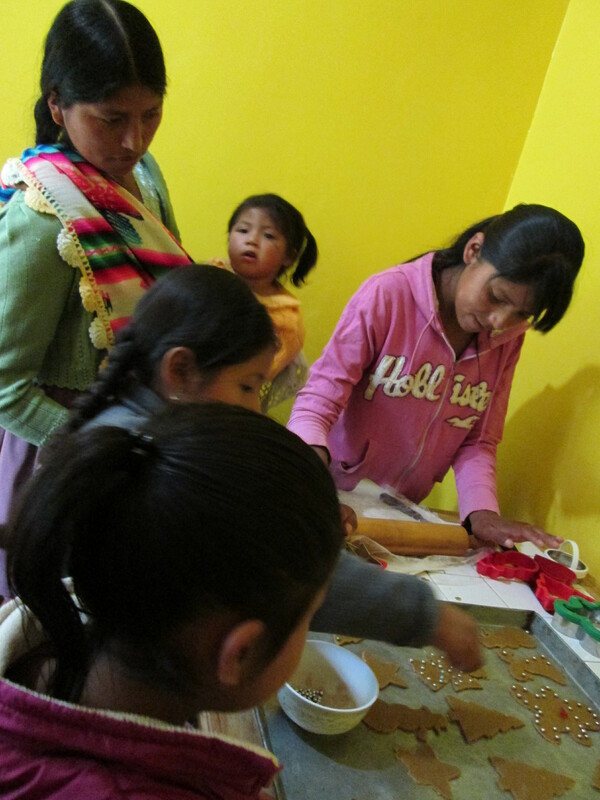 The Club de Artesanas (CdA) made merry during December and January in sleepy Independencia. All but the 2 young mothers in the CdA headed to their rural farms to work and the teens headed to the bright city lights to pass the school vacation. 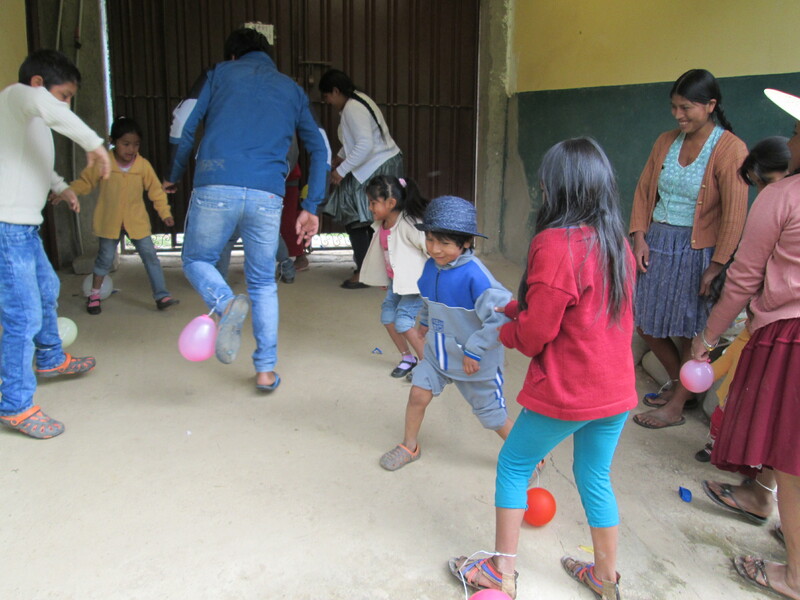 The two enthusiastic new young teen Club members arrive accompanied by 2 younger siblings and a cousin. The 2 young moms have 6 kids between them so Club days are rather like summer camp. A week was spent rolling out and decorating trays and trays of Christmas cookies to be bagged and sent home to share the holiday cheer. 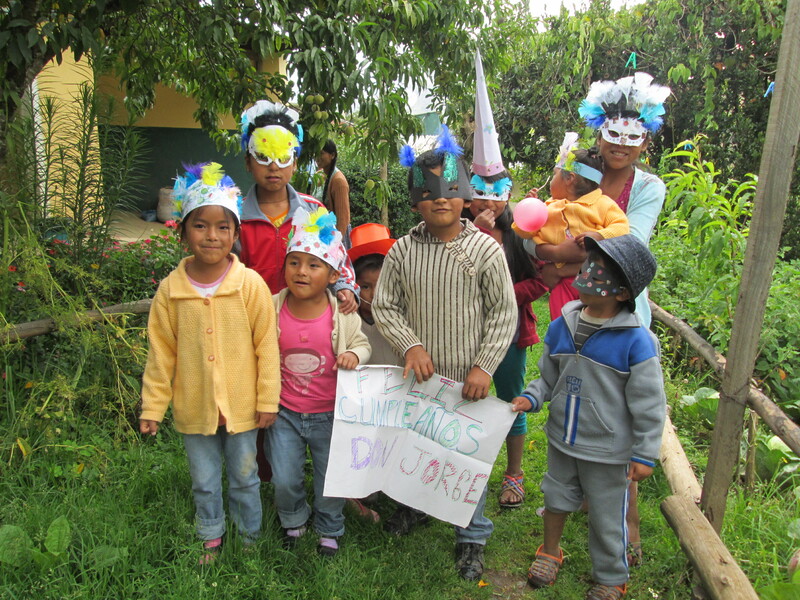 Another day was spent making masks, sombreros, and crowns for the Grand March for the Fiesta de Don Jorge which took place in early January. Don Jorge is Dorinda’s father, and it’s become a tradition to have a holiday fiesta in his name and he receives a photo birthday card. 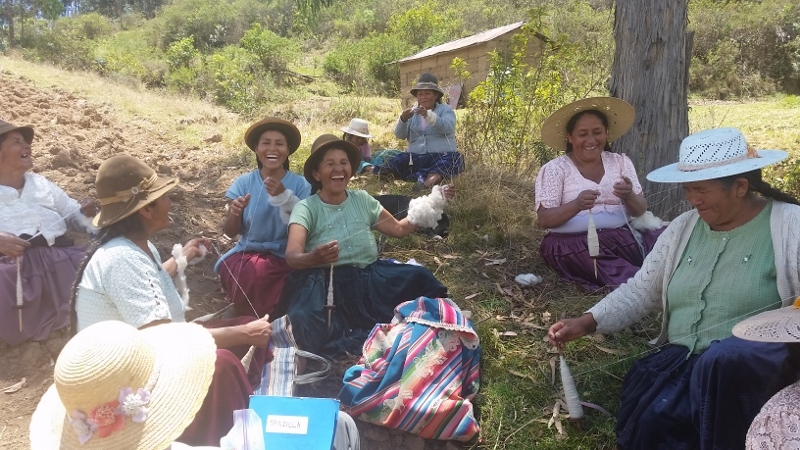 Doña Máxima is alternating between teaching weaving and jewelry making to the older kids during Club afternoons. The 2 young moms are working on sewing and crochet projects. 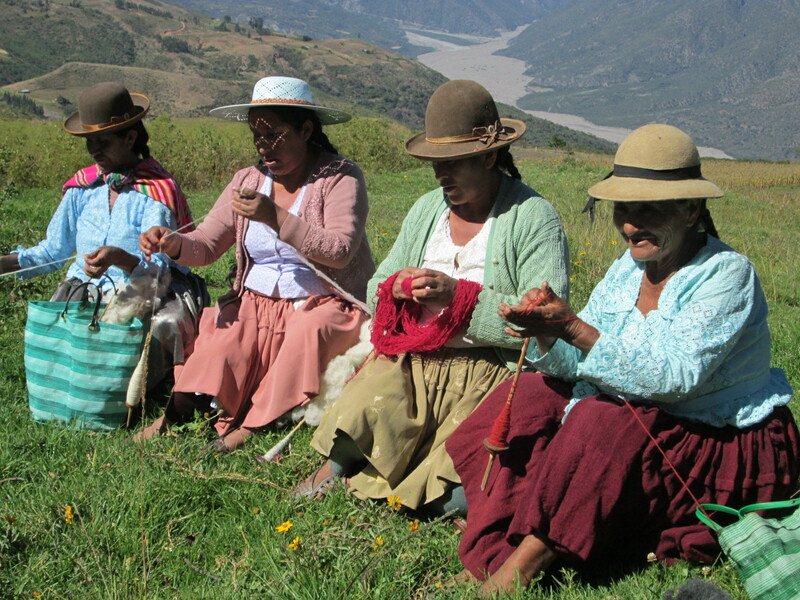 Two years ago PAZA began contracting out the sewing of weaving products in Cochabamba. It was intended as an intermediate step to handling the assembly in-house. The portable sewing machines in the PAZA workshop cannot handle the thickness of the weavings, and the sewing skills of the CdA members are not at the professional level of their weavings. Sadly, we´ve had few volunteers visit who could provide the technical assistance needed to help the women improve their sewing skills. 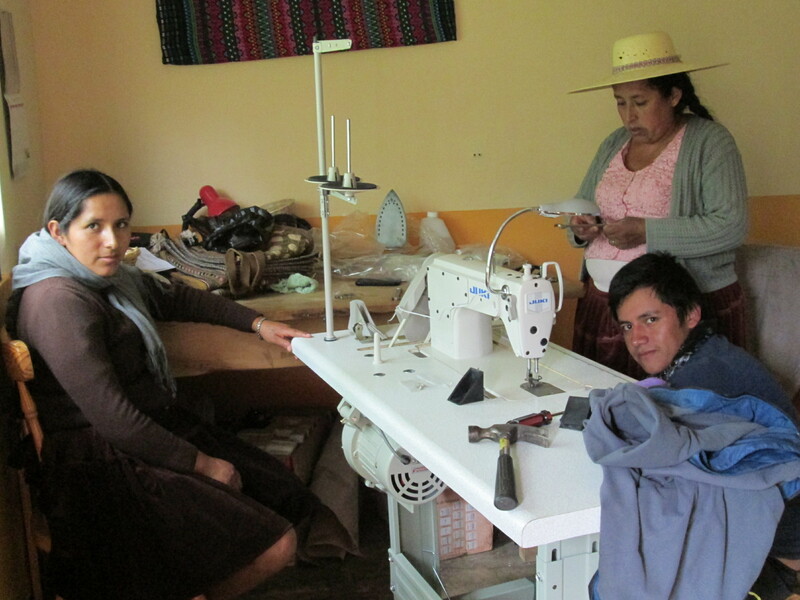 A trainer will be contracted from Cochabamba to teach an introductory sewing and machine maintenance class in Quechua and to help organize our in house product assembly program. Ongoing skill training will be needed. As the saying goes, “timing is everything”. The purchase of the sewing machine was delayed until the need for the purchase and a desire to do quality in house product assembly was expressed by the Club members. 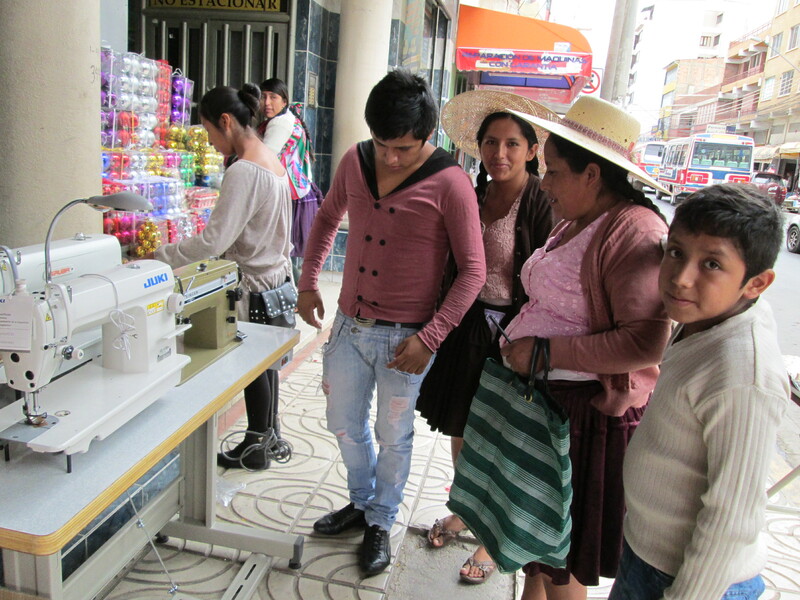 Doña Máxima grasped the income generating opportunity an industrial sewing machine could provide when her eldest daughter´s husband abandoned his family, again…. The daughter is a Club member and was incapacitated by her fright of a bleak future trying to raise 4 young children on her own knowing her 8th grade education limits work options. She is a talented weaver and is motivated to master the new industrial sewing machine. Who knows where it will lead, but for the moment PAZA can offer hope to this young mother. The husband may continue his comings and goings, but with the knowledge and confidence that she can make her own way, the young mother will hopefully never again fall into such a deep well of despair. Thank you Shiriin Barakzai and Lyn Lucas for your support which will go towards the sewing machine training program!